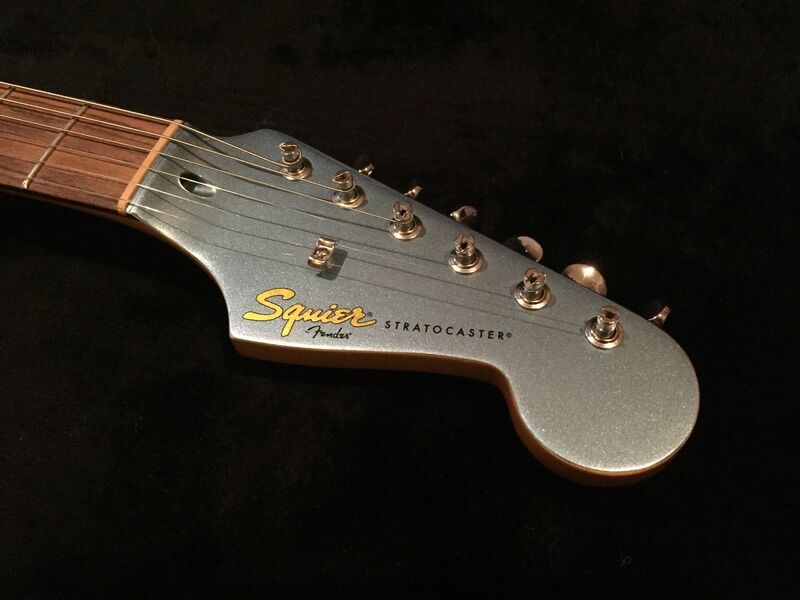 It says Rosewood Fretboard in the 2010 catalogue but in the 2011 catalogue only says Maple Fretboard The Rosewood is a catalogue misprint. 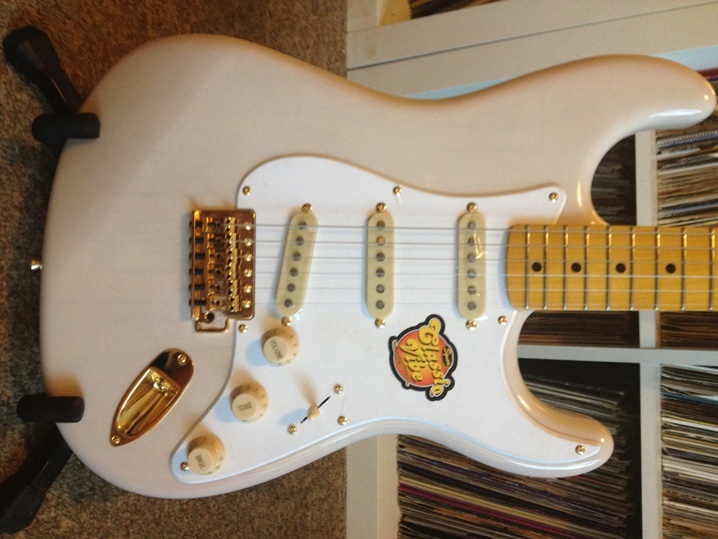 This catalogue is the first appearance of the Simon Neil (Biffy Clyro) signature Strat. 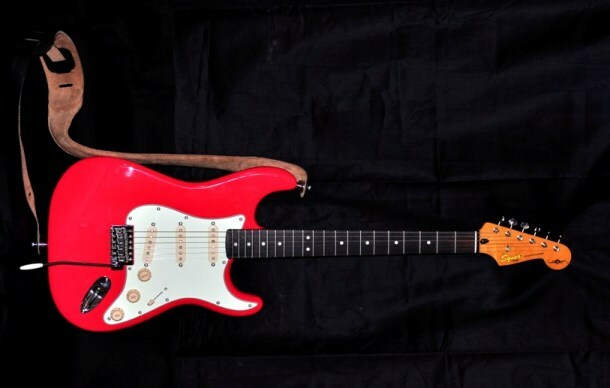 This is a variation on the CV 60s in Fiesta Red with a mint green pickguard and a mixture of Alnico 3 and 5 vintage style pickups. It may have been available earlier. A quick look around shows that retailers are charging a bit below MSRP but usually less than 10% lower but with the odd real bargain to be found. 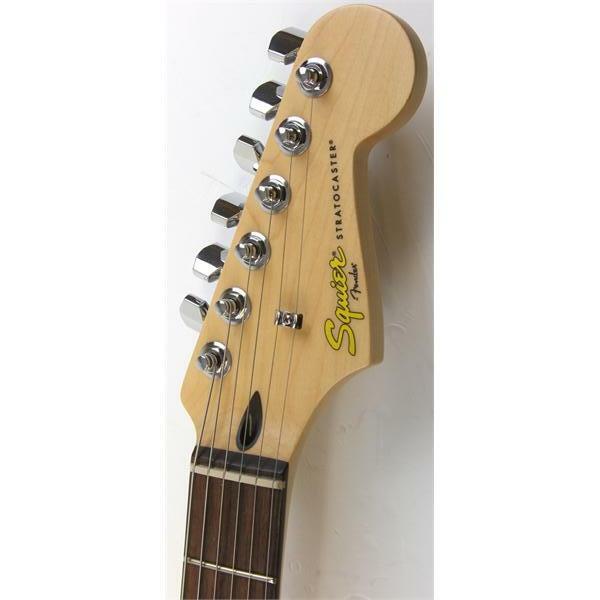 Stratocaster 50s Now Available in 2 colour sunburst, Olympic White, Sherwood Green Metallic with a matching headstock now added. 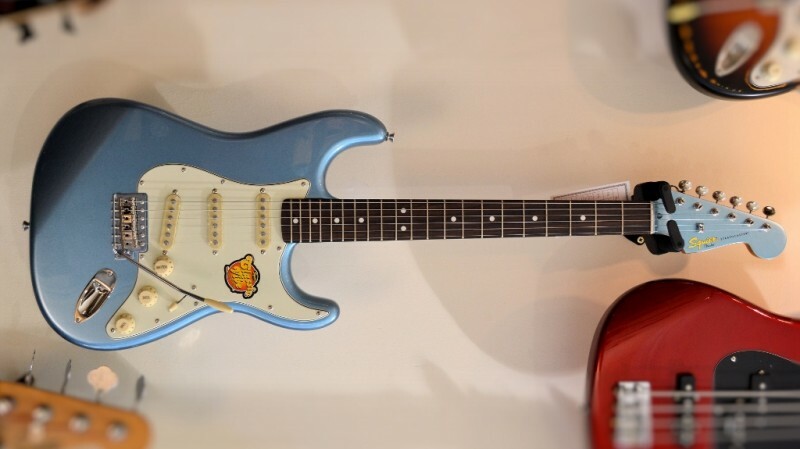 Left handed version unchanged £360. 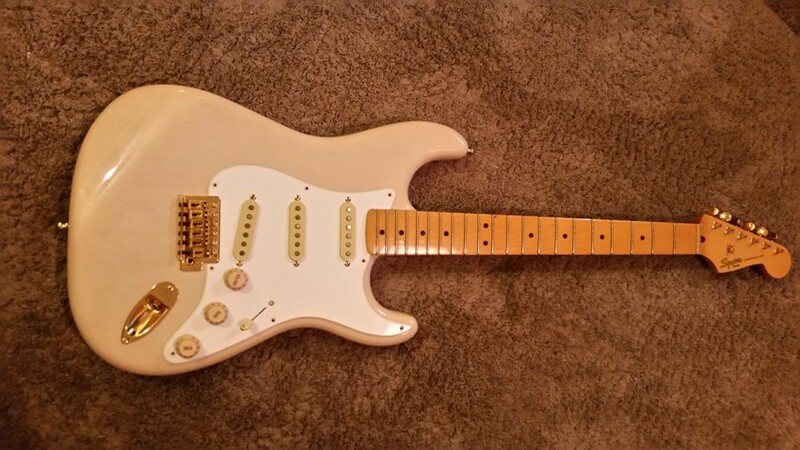 Update November 2015 The 50s Strat is no longer available in Olympic White. 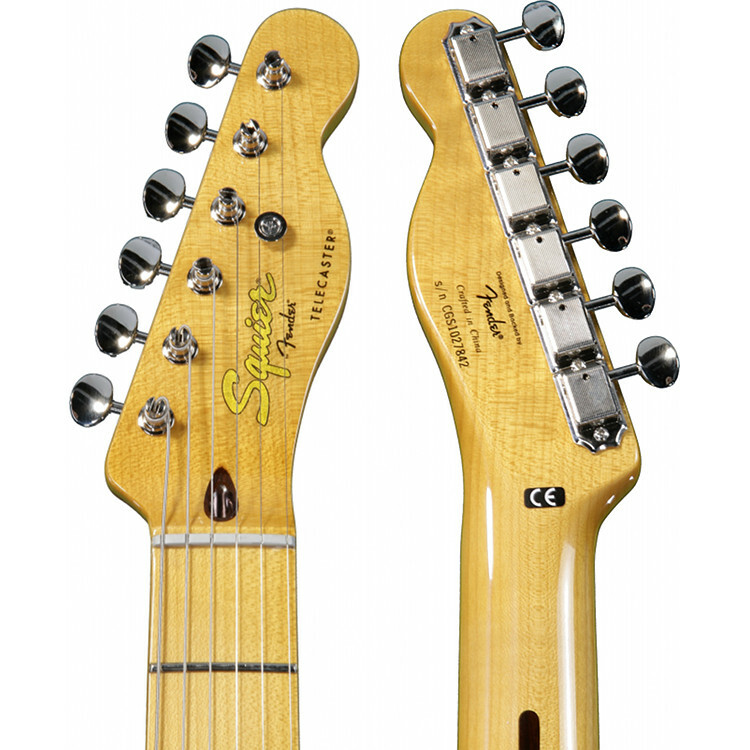 Telecaster 50s In Butterscotch Blonde or Vintage Blonde a pine body, maple neck and board with a black pickguard the left handed version in Butterscotch Blonde only. 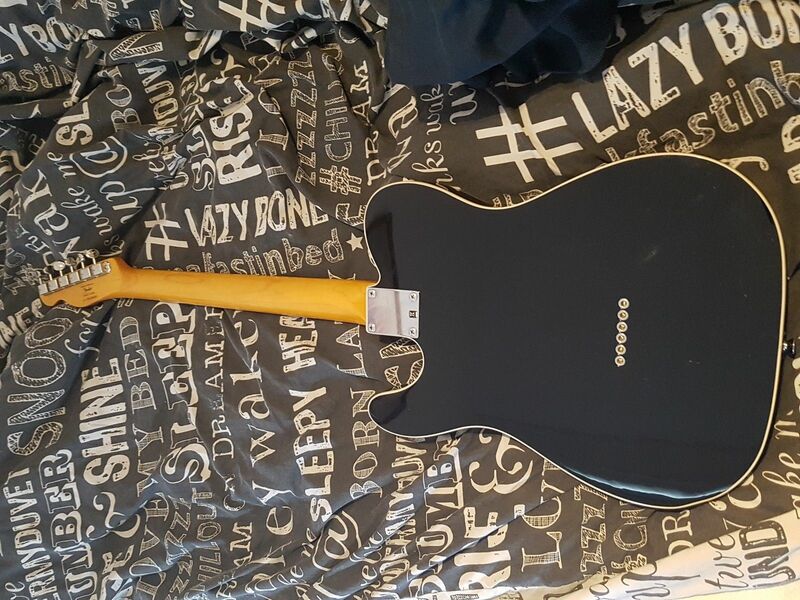 All models show a price of £455 except for the Thinline and the Left Handed Telecaster 50s which both show £480. Obviously retailers charge less. 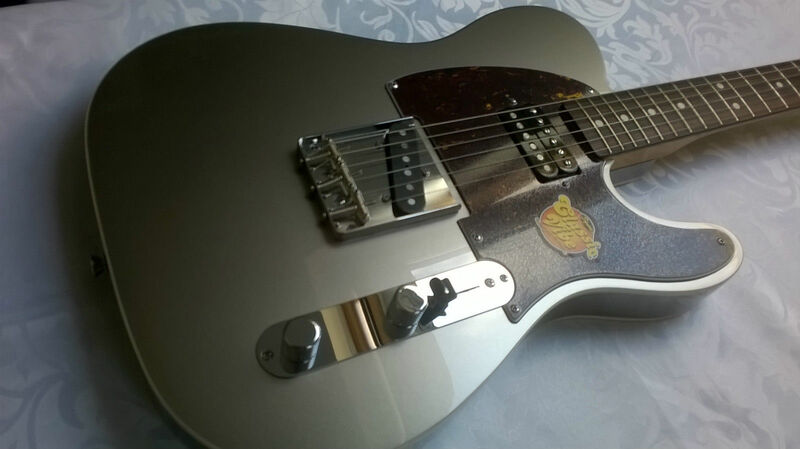 Not on the UK site but still on the USA site is the Telecaster Custom in 3 colour sunburst with an Indian Laurel board. 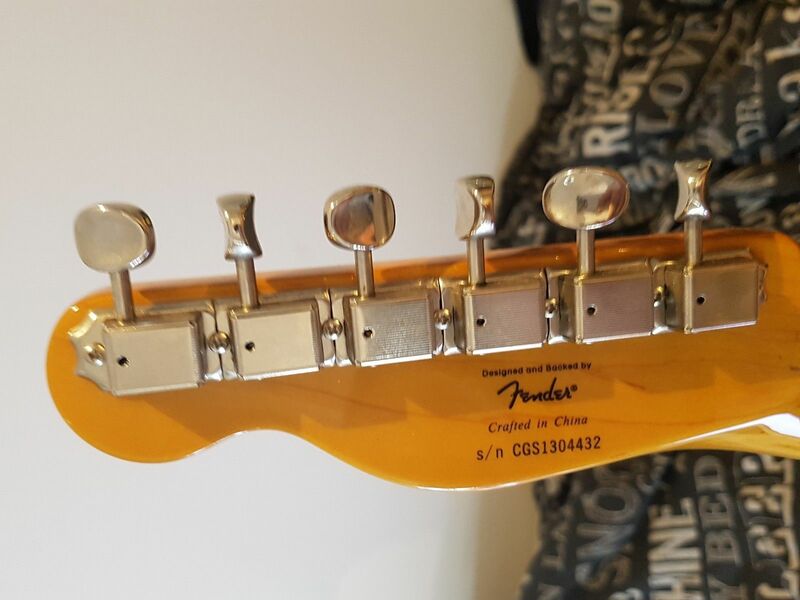 Some UK retailers do have this model but whether the site is wrong or they are selling old stock isn't clear. I have had an Email from Mark Cochrane from Manchester. 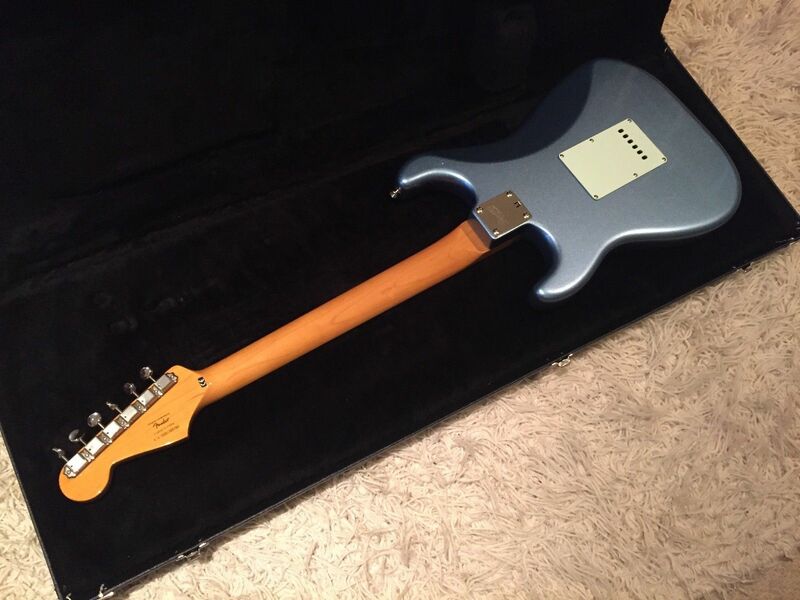 Mark has a CV50 Classic Vibe Mary Kaye model. 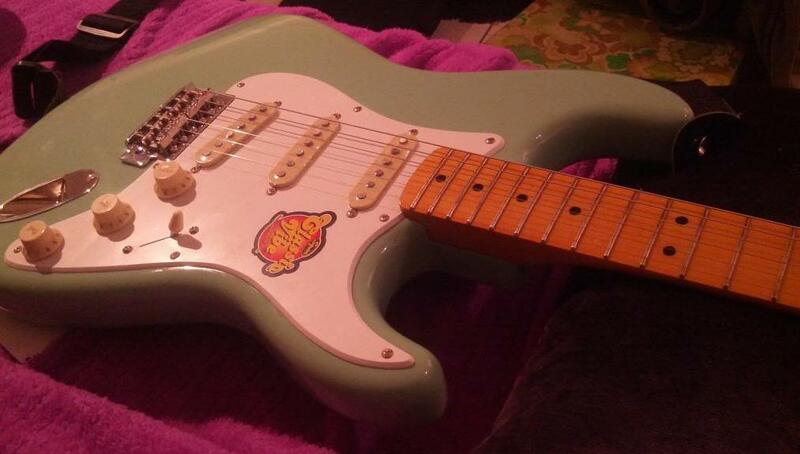 He tells me that this guitar was available for a short time only and that he bought his in 2013. 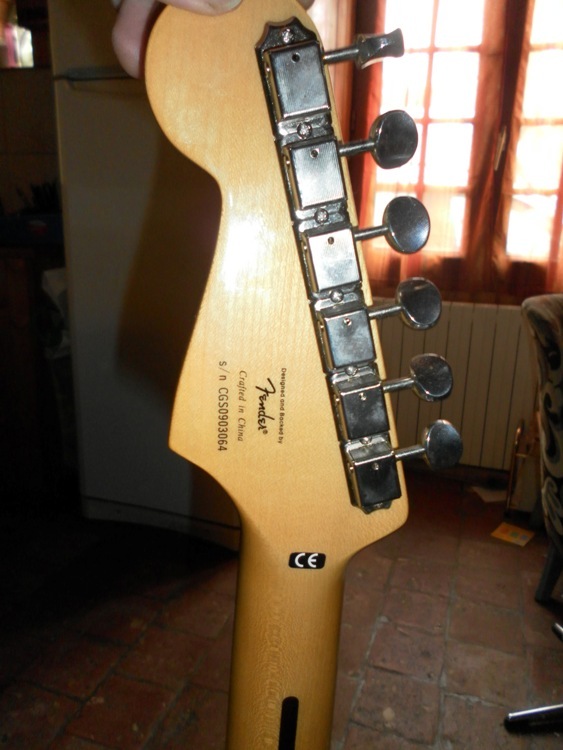 The serial number begins CGS12 suggesting a 2012 or 13 manufacture. These don't appear in the catalogues that I can find. I guess this was a special run and that fairly limited numbers are around. Here are a couple of pictures. Thanks Mark much appreciated. 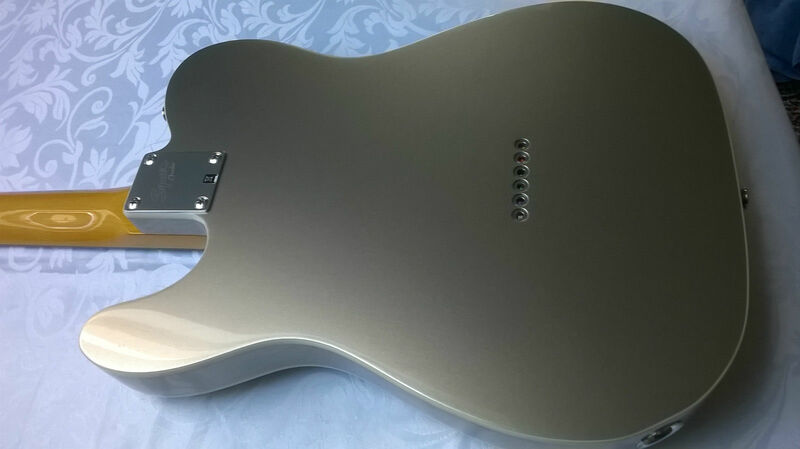 I have also found a FSR Telecaster Custom in Gold Bronze, made in very limited numbers. 28 were available in the UK but how many in other countries I am not sure. 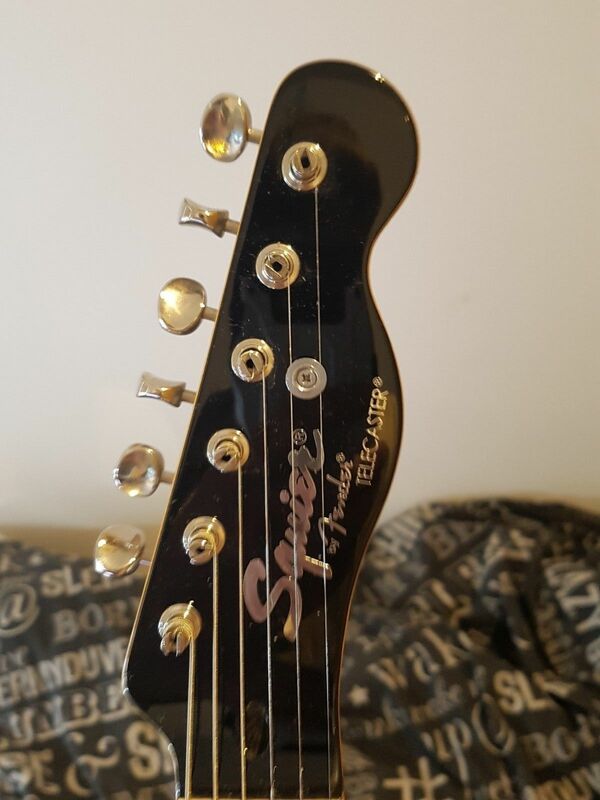 They were available in late 2014 I have seen one bought in the UK and one bought in the Netherlands it is a superb looking guitar as the pictures below show. 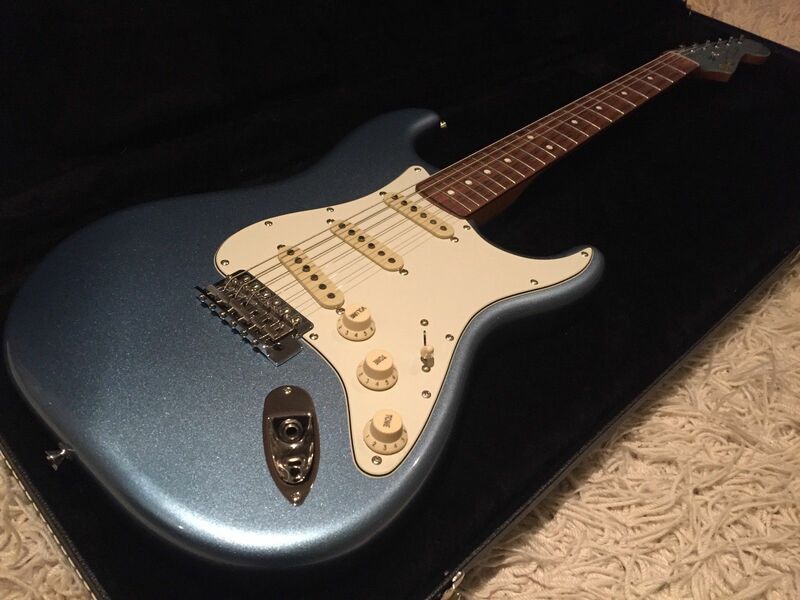 Thanks to Alainvey of the Strat forum I now know that there is a Stratocaster version of the Gold Bronze. Again we are told only 28 to be imported to the UK. 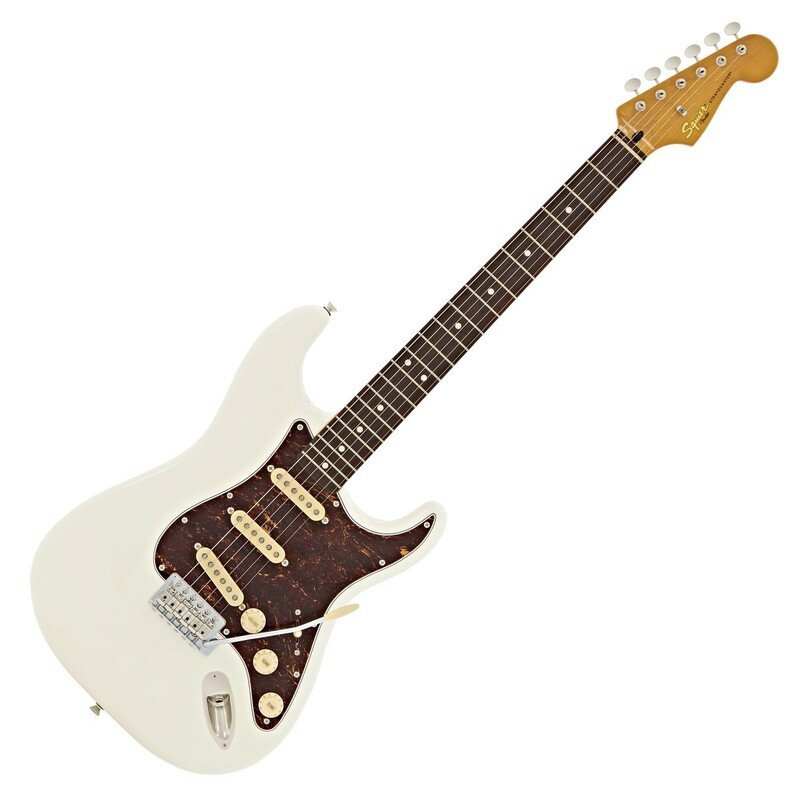 This Olympic White 60s FSR was still available in Feb 2017 for £398 at gear for music but only three left. 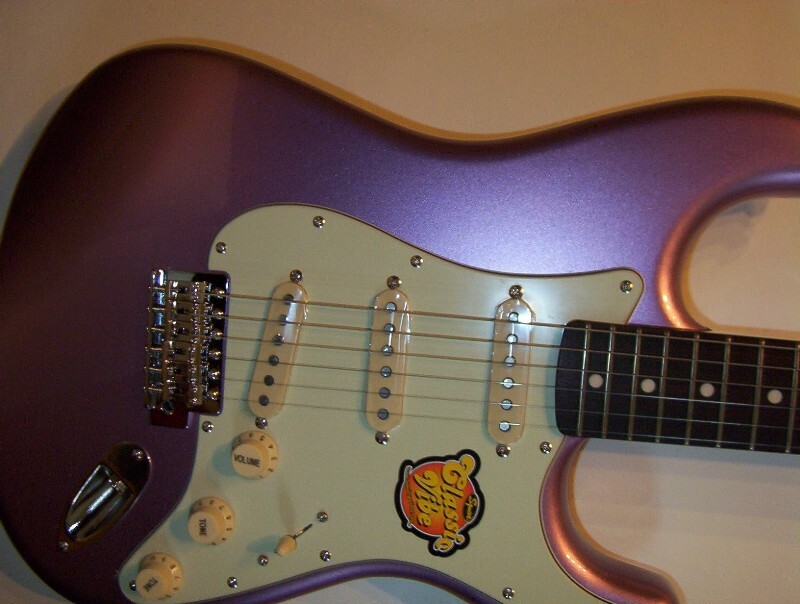 This guitar is said to be Burgundy Mist but looks like purple sparkle to me. 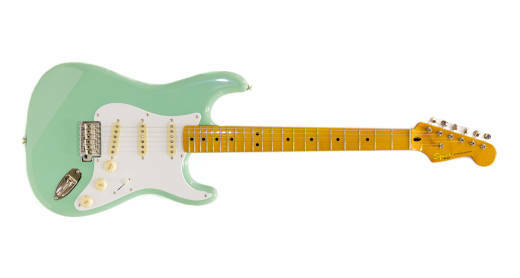 Fender have added to their classic vibe range by renaming the Vintage Modified series production of these continues in Indonesia, whether or not the production of the original classic vibes continues and remains made in China isn't yet clear.